Michael Douglas (The Game) and Matt Damon (Good Will Hunting) star in HBO Films’ Behind the Candelabra, a drama that looks at the private world of flamboyant piano-playing entertainer Liberace—he whose name was synonymous with Vegas, showmanship, extravagance and candelabras—and his tempestuous relationship with Scott Thorson, his young live-in lover for five years. Based on Thorson’s tell-all memoir Behind the Candelabra: My Life with Liberace, the film is directed by Academy Award winner Steven Soderbergh (Contagion) and features supporting turns by Dan Aykroyd (The Blues Brothers), Scott Bakula (the Informant! ), Rob Lowe (Knife Fight), and Debbie Reynolds (Singin’ in the Rain). The film received generally positive reviews from the press after it premiered on HBO in May, 2013. After its debut, the film reportedly became one of HBO’s most watched original films in nearly 10 years. 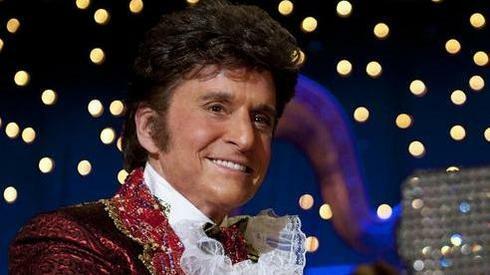 The Blu-ray/DVD Combo pack includes “The Making of Behind the Candelabra” featurette as a bonus feature.